If you live in expensive New York City, you might be looking for ways to lower your monthly water bill. Wasting water is costly and hazardous to the environment. At Star Cities Plumbing, we have come up with a few plumbing tips to help you conserve water. Toilets are often a hidden source of sneaky, silent leaks. Your toilet could be wasting 200 gallons of water daily. To check your toilet, you can drop some dye, food coloring, or leak detector into the tank and wait for the telltale color to appear in the toilet bowl. You can have a new flapper and fill valve installed to make sure that your toilet isn’t using unnecessary water. One of our number one plumbing tips is to watch for leaky faucets. You might not hear a constant drip and think that your faucets are fine. However, it can be important to regularly check the bases as well to make sure water is not seeping out. 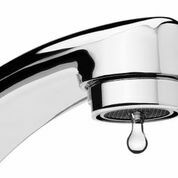 If you do catch a leak, be sure to call a plumber immediately to avoid wasting gallons of water. Even a small drip can lose up to 3,000 gallons of water in a year. An old showerhead can produce an uncomfortable stream while wasting water. Some old showerheads even leak, directing water down the drain rather than over your head. Replacing your showerhead can preserve about seven gallons of water a minute. That’s 105 gallons for just one 15-minute shower, or more than 700 gallons a week! By following the plumbing tips above, you can save water, money, and the environment. Contact us, Star Cities Plumbing, at 800-547-1422 if you want help with leaks, pipes, and faucets or have questions about plumbing in New York City.